With our beginners Sugar flower course starting in september we thought we would take this opportunity to talk about the basic equipment needed to start making sugar flowers and sugar models. Non stick board –Non stick boards come in a range of sizes from 152mm x 114mm to 600mm x 500mm and a good size non stick board is the 254 x 177mm. Non stick rolling pin – Once again non stick rolling pins come in various sizes but an idea size to start with is the 9 inch (228mm) rolling pin. Foam pads –There are two types you require which can be purchased as a set or individually. You will need a plain square flower foam pad and a mexican foam pad. Mexican foam pads have five holes of different sizes and are designed for creating gum paste flowers using the Mexican Hat method, while flower foam pads are designed for shaping and thinning the edges of petals and leaves made from gum or flower paste. Modelling tools Our range of modelling tools can be used to model sugar paste, marzipan, claydough etc. Modelling tools used on any edible products should be kept separate from tools used on non-food materials. Each tool is designed to perform a specific function so it is important to choose the right modelling tools for the right job. If you’re not sure which one you need, you can select one of our sets which contains a selection of the most popular modelling tools. bone tool, ball tool, sugarcraft knife, bulbous cone, Flower/leaf shaper and double ended cutting wheel are the most used or you can buy a complete set of 8. Cutters – There are a vast range of cutters to choose from but the cutters most used when beginning are rose petal, leaf & calyx, ivy leaf, 5 petal blossom, heart and daisy. Veiners – Once again when beginning, start with rose leaf and an ivy leaf veiner. Having good general leaf veiner is ideal for many other petals. Wires and tape – Most useful sized wire is 24 and and 28 gauge wires and florist tapes of different colours. Nile green is the most used colour which can also be dusted to a darker colour. Ready to use flower paste or modelling paste – you can make this florist paste yourself, or save time by buying ready made paste. There is a vast array of colours to choose from and Beau paste have a fantastic colour range to match most needs. Dusting Colours – Choose the basic colours to start. You can also mix pastes and dusts together to create further colours. General Tools - Brushes, scissors, angled tweezers, fine pliers and wire cutters. Petal Base – Used for ease of rolling out flower paste on board and prevents any sticking. Decorating a celebration cake or wedding cake is a truly rewarding, fulfilling and creative past time and profession. But even for a professional cake decorator it can be hard to know where to exactly start and for the beginner even more mind boggling. As experienced cake designers and specialists in cake decoration supplies, Sugarbliss Cake Company have everything you might need for you next cake decorating project, from practical advise, useful information, inspirational tips, fabulous ideas, cake making and decorating equipment such as, Cake Tins to purchase or hire, Cake Boards and Cake Boxes to Ingredients and fabulous Cake Decorations. If you are going to be decorating a cake for a child’s or friend’s birthday party, a family christening or a cake for a wedding, our ever-expanding range of Cake Decorations, Ingredients, Tools and Equipment will help you create the perfect centre piece for your special occasion. At Sugarbliss Cake and Cake Decorating Shop we have an extensive selection of readymade cake decorations and cake toppers for all interests, whether you are looking for Animals, Barbie, Disney Characters, Hello Kitty or something in Sports & DIY, our range covers most popular hobbies and pastimes, from gardening, fishing, golf, football and shopping. We also have added a great selection of seasonal cake decorations for Halloween and Christmas. If you are looking for something a bit more personal we also print edible pictures onto icing sheets. We also have a hugh range of edible sugar decorations, Plaques, Flowers and Leaves. Or why not add some sparkling Edible Gems or a beautiful flower spray decoration to enhance your cake project. With a large range of Glitters & Sprinkles, consisting of flakes, sequins, dust, sprays, sugar pearls, jelly slices and sugar crystals that are completely safe, easy to use and a fantastic way to decorate any cake. We also supply a excellent range of Cake Candles & Holders, printed napkins and cake frills plus assorted Mottoes, Numbers & Letters to personalise your cake. Here at Sugarbliss Cake Craft we are sure that our one-stop cake decorationing shop will give you plenty of ideas. Pop in and have a browse and see what inspirational ideas you can find for your next or existing cake project! Over the last few weeks we have had a number of fantastic new products arriving in our cake & cake decorating shop recently, including a range of Karen Davies moulds. These new moulds have been taken from figures which have been modeled by hand in modeling paste, so giving a result that looks like you have not used a mould. The face/ head moulds have been very popular for people who want to get a good simple result that can be altered to suit either male or female, young or old. The cup cake top mould which gives the cake decorator a cup cake top decorated in one easy step is just fabulous.The moulds are all very well defined and with some lovely detailed designs! At Sugarbliss Cake Company one of our very popular wedding cake designs is a ribbon around the cake fastened with a pearl brooch. On one of our recent wedding cake designs, our clients wanted as much of the cake decorations to be completely edible. So using the brooch mould we were able to create some wonderful edible brooches. The edible brooches looked wonderful placed in the centre of the sugar bows that we had made and still completely edible! 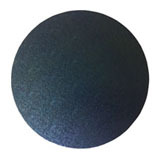 As well as stocking the popular blue, cerise, pink, black, gold and silver cake boards, we particularly liked the new round and square green cake boards which arrived last week, adding to our colour cake board range. These coloured cake boards really can make it easy to add a dramatic effect to a cake without having to ice the board. We have recently used them in one of our celebration cake designs. Using a black fourteen inch board, our life sized boxing glove cake looked absolutely stunning. Keep watching out for many more new cake decorating products arriving shortly. The last few weeks have been really hectic with wedding cakes to design, make and deliver, sugar models and sugar flowers to create and celebration cakes of all shapes and designs to complete. However, it is always exciting to find the time to review new products which have recently arrived in our Sugarbliss Cake Craft & Cake Decorations shop. We have just had arrived our first supply of the absolutely fantastic Beau Product Flavours and extracts. There are a whole range of delightful flavours to make your cakes taste superb every time from candy floss to madagascas vanilla extract. The flavours are engineered from building blocks of small units of flavours or extracts that are carefully put together to form a specific profile. By combining these buidling blocks, the flavours are adjusted in different directions. For example, ripe, flowery or fresh to produce a unique finished flavour profile. One of the most common challenges when making flavours, especially those based on citrus, is heat stability. These flavours therefore have been developed for a bake safe consistent flavour. Many of the flavourings available are certified for use in Halal and Kosher. All flavourings come in concentrated form and should be used sparingly until you reach your required taste. If there is a flavour you would like to see in our range please do not hesitate to contact us. We are often asked how to make royal icing and the difference between royal icing and sugar paste. Royal icing can be used for icing cakes and for decorations such as run outs and extensions. Royal icing can also be used for piping purposes and out of all icings is the most versatile. However, plenty of practice is recommended in order to master the technique. It is vital to make royal icing correctly and to the right consistency in order to obtain a good smooth finish on your cakes. There are a few things you should consider before you start. Fresh egg whites are generally not used as much today. Pure dried albumen or a substitute such as Meri white are more often used these days. Pure albumen powder makes a stronger icing and is more suitable for run-out sugar work, extension work and fine piping. Adding glycerine will soften the icing and can be used for other uses. Adding meri white creates a softer and slightly whiter icing for covering cakes. It is essential that all equipment and utensils used are clean and free from grease. Any spots of grease will result in a heavy icing and will make it much more difficult for you to work with. The use of good icing sugar should eliminate the need for sieving and will produce a better consistency. Always keep the royal icing covered with a damp cloth whilst working with it as this will help to prevent drying out. You must however, not keep the cloth over the icing for too long as it will cause the icing to absorb the moisture and change it’s consistency. By leaving the royal icing in a plastic bag or piping bag to dry out you can then simply grate the icing to achieve a snow effect to add to your cake decorating scene. If you do not have enough time or inspiration to make your own royal icing you can purchase royal and run out powder. Simply add cooled boiled water to the mix until light and fluffy. The correct consistency is reached when the icing is whiter and will stand in soft peaks. 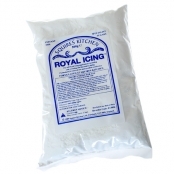 You can purchase the royal and run out icing in our sugar craft and decorating shop. Place albumen mixture into clean, grease free bowl and add half the icing sugar. Beat until well mixed, then add the remaining sugar, a small amount at a time and beat until stiff. If making in a mixer, use slowest speed and take care not to over beat. This could cause air pockets in the icing which will cause problems when trying to coat or pipe. Dissolve meri white in water and gradually add icing sugar, beating on low speed in a mixer (approx 15 mins.) until icing peaks. Different consistencies of icing are required for different purposes so the icing, once made, will probably need to slightly adjust the mix. Before use, whether for piping or coating use a palette knife to eliminate all the air bubbles. This achieves a smooth icing suitable for coating cakes. If a firmer icing is required where it has to hold its shape eg. for piped flowers, you will need to add a little extra icing sugar to the basic mix. For run outs (letters/numbers etc) paddle to eliminate any air bubbles, and add more water as necessary to achieve a flowing consistency. Do not add glycerine to a run out mix of icing as this will soften it too much. A stronger icing is needed for this type of icing work. Much of the equipment used for royal icing can be found amongst your general kitchen items, but there are a few specialist items you will require to make your royal icing a success! When coating a cake you will find that a turntable is useful especially when icing the sides. You can turn the cake around and achieve a good smooth edge. When icing the top place the cake on your work surface this will prevent the cake from moving as you draw the icing across the top of the cake. A good strong straight icing ruler is essential for coating the top of the cake. A stainless steel or plastic side scraper will ensure a smooth side to your cake. You can also purchase various grooved scrapers to place a design onto the side of the cake. Palette knives are useful – a smaller one for putting the icing onto the sides and a larger palette knife for spreading onto the top. If you are hand beating the mix. Ensure cake has straight, squared off edges. 3-4 thin coats are recommended, making each coat a little softer with extra water as you go. Paddle the icing on the top first to eliminate air bubbles. Drag the icing ruler across top at a slight angle and remove the excess icing with another knife. Place the cake on a turntable and paddle the icing onto the side with a palette knife. Using a side scraper, hold the scrapper at an angle towards you, then pull it around the cake, starting as far back as possible turning the cake with one hand and holding the scraper with the other. Allow each coat to dry before applying the next. Any roughness can be removed, either shaving with a sharp knife or rubbing with a piece of emery paper. Always use good quality tubes if possible. These are stainless steel and are seamless and will give the best finish. Any tubes with a seam may distort the piped design. Practice before applying to cake especially if creating a more intricate design. Ensure tubes are cleaned well after use and no icing is leftover inside tube.